Regardless if it’s at the gym, in the pool, or outdoors, a waterproof fitness tracker is an amazing device to monitor your overall health and fitness levels. If you start to check around there’s a wide number of waterproof trackers, varying in features, styles, sizes, and shapes. As well they offer different options depending on your fitness level. If you are a person that likes to hit the water more than the road, getting a waterproof fitness tracker for swimming is without a doubt a great investment. On the other hand, a lot of this new waterproof fitness trackers are not made for swimming and won’t track the important data that you need like distance, stroke count, lengths. So, in case you need to track your swimming stats, it’s important to make sure you get a tracker that is designed for the job. But whether you are a pro swimmer, go swimming during your holidays in the sea or go training in your favorite lake we have a tracker for you on the list below. 3 What to Look For on a Waterproof Tracker? 4 How to choose a Waterproof Tracker that Suits you Best? 5 Buyer’s Guide – How Do I Pick The Best Waterproof Fitness Tracker? If you are looking for the best waterproof tracker, this is one of the best options out there without a doubt, from price tracker abilities and top features the Moov Now excels in all those. Is not just a regular tracker it comes with the built-in coaching feature that provides you metrics that will help you to improve your swimming rather than just giving you data. 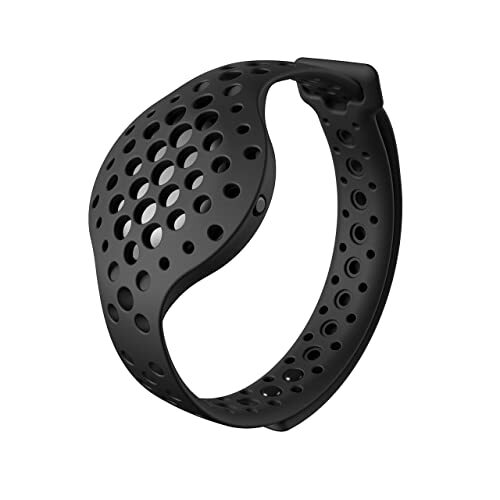 The Moov Now sets itself apart from the Fitbits and Garmins of this world with its mix of basic activity tracking and live audio coaching. Waterproof to 3 ATM (30m), the Moov app comes with a personalized swimming mode that you turn on before you leave the changing room. After your swim, you will have statistics on your stroke type, distance, rate, and efficiency, as well as lap times and an overall indicator of your pool stamina. The only real downside is that there’s no built-in display to view your performance in the pool in real-time. The Moov comes with different training modes like run & walk, cycling, boxing, 7-minute workout and of course swimming. The focus of this tracker is to help you keep up the pace and continuously improve your routines. When you use it for a run, walk or work out on the bicycle, the app grabs data from your smartphone’s GPS so you get real-time distance, speed and pace stats. It’s designed to be worn on either the wrist or ankle, and you can use 2 at the same time if you want perfect data for boxing training. Some things worth to mention is that the standard fitness tracking is limited like it doesn’t count your steps and it also lacks smart notifications. Nevertheless, it makes up for it with a big number of features for live training and a plethora of swimming metrics. 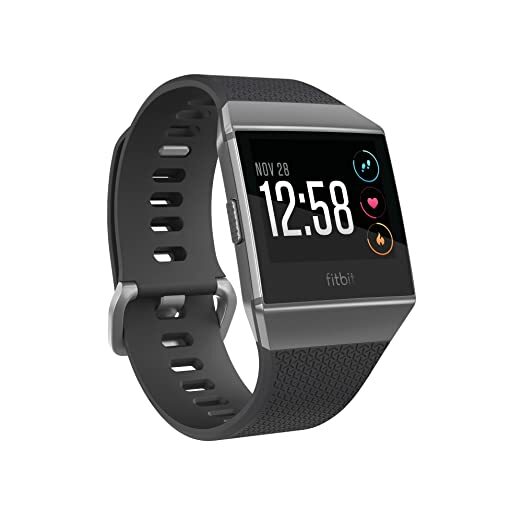 The Flex 2 was the first tracker swim proof from Fitbit and is another great and affordable choice for swimmers. Featuring a 5 ATM (50m) water resistance on the pool or ocean and includes 5 days of full battery life span. It also comes with LED light notifications and fancy accessories, plus the regular Fitbit features of activity and sleeps tracking. A great feature for swimmers is that it will recognize the 4 main swimming strokes: freestyle, backstroke, breaststroke, and butterfly. 30% smaller than the predecessor model, the Flex 2 includes a detachable core unit and interchangeable slim, classic fitness bands in 7 different colors. If well is true that don’t get a comprehensive collection of swim metrics, it will track duration, distance, and pace for a basic breakdown. If you’re looking for a basic fitness tracker that’s good for the water, this tracker is a great choice then. The Vivoactive 3 is the successor to the popular Vivoactive HR, the Swiss knife of fitness trackers. Garmin presents this model that is less bulky than the other models that we are used to seeing from the company probably on an intent to appeal a larger demographic. And let’s be clear they did a great job! Just like the Garmin Vivoactive HR, this tracker offers the same features in the swim tracking department helping to stand out as one of the best overall trackers for swimming out there. 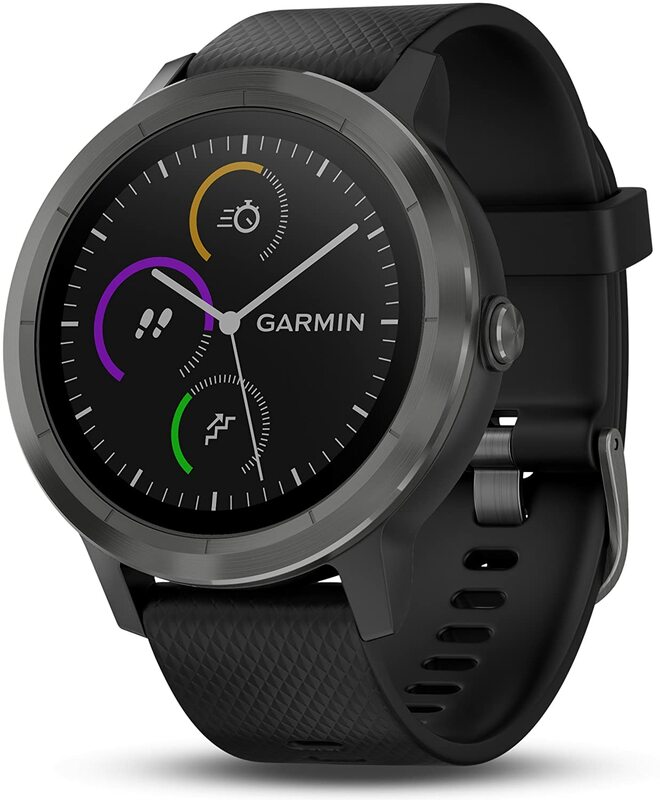 The Vivoactive 3 features a 5 ATM waterproof rating, meaning that is resistant to pressure at a depth of 50 meters and what is more impressive is that comes with a dedicated swimming screen in Garmin Connect, that will store data on your stroke,distance, time, pace, SWOLF, temperature, speed just to name a few. The tracker also includes 15 built-in sports profiles, featuring new ones for snowboarding, yoga, cardio, elliptical and stair stepper. Other new features include VO2Max and stress/workout tracking. But that’s not all! you also can mix it up by creating your own customized workouts. For swimmers, the Vivoactive 3 perform a great job monitoring your swim sessions counting your lengths, pace, calories, distance, stroke count/rate, and swim efficiency (SWOLF). It also has the ability to determine what is the type of stroke you are using from freestyle, breaststroke, backstroke, and butterfly. 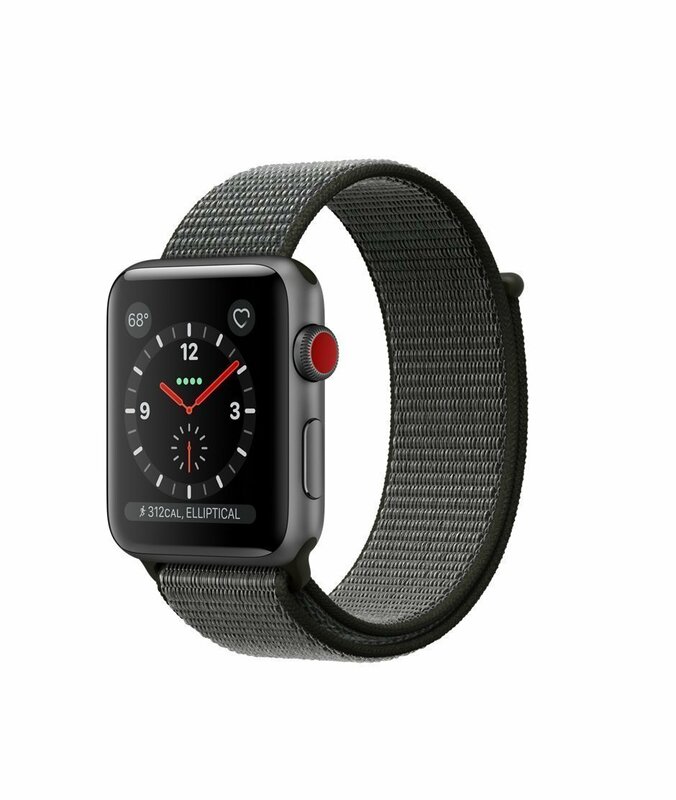 The Apple’s new Series 3 comes with all the great swimming abilities from the Series 2 and improves it by including a much stronger processor as well the possibility to have a cell phone connection in case you would like to take a call in between laps. They also include GPS on the model. Another great feature is the Apple’s pool and open swim tracking option that is hand down one the best that we’ve ever seen and used. The tracker can check a lot of different metrics like distance covered, average pace, lengths, and it can distinguish between the stroke style as well. While you are swimming the touchscreen display stays inactive, but if you just raise your arm you are able to check in on real-time progress. IN terms of design there’s no much difference with the series 2 but the new features on the Series 3 make it so much better, and the new software upgrades deliver a smarter and more useful tracker. Now there’s definitely a real reason to want an Apple Watch. The Series 3 also can handle up to 50 meters of water resistance and includes its own Pool Swim workout mode as well as open water swim. Once you finish your training the tracker will display the time of day the activity took place, dominant stroke used (auto-detection is used), distance, pool length, workout time, average pace, laps completed, average heart rate, and both active and total calories burned, as well as the weather at your location. The second water-resistant device from Fitbit, Ionic packs some pretty decent specs under the hood. You’ll find 8 different sensors inside including an altimeter, 3-axis accelerometer, digital compass, GPS, optical heart rate monitor, ambient light sensor, vibration motor and a new relative SpO2 sensor for measuring blood oxygen levels. The Flex 2 was until just a few months the only Fitbit capable of being submerged in the water without a problem, but the Ionic appear so the Flex 2 wasn’t alone. The Ionic has all the features that we found great from the Flex 2 to track your swim but enhances with a very nice screen display, letting you check your statistics in real time. As you can expect from a Fitbit watch on regard to features fitness tracking, comes first. It sports all the capabilities that any of the company’s watches include, together with capturing real-time stats on 20 different types of activities. For swimming, you’ll get lap count information, duration your session and calorie burn. There is on-board storage for music too, smartphone notifications and Fitbit pay. It’s got five days of battery life, plus tactile buttons so that you can start and stop workouts while in water, so you don’t have to worry about messing with a wet touchscreen. You’re not going to get the most in-depth metrics possible with the Ionic, but it’ll do the right job for the most people. 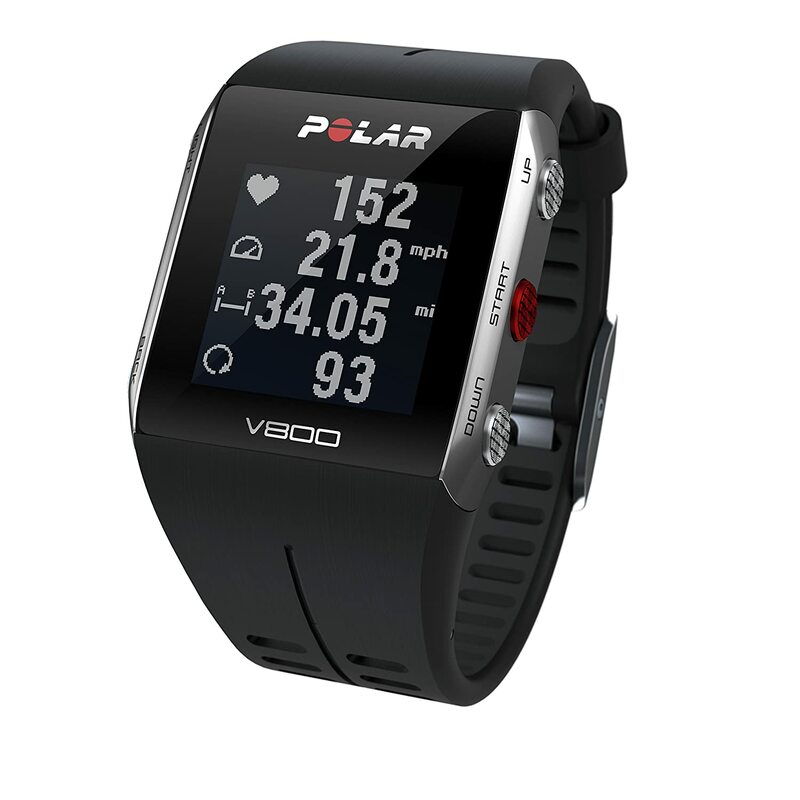 The Polar V800 is today without a doubt one of the top waterproof trackers for swimming. This watch can track your swimming performance and will automatically know the type of swimming style that you are performing. It also will record your distance, strokes, pace, and. It also features an integrated GPS and with its dual-mode transmitter, you can measure your heart rate even under water. Although it is one of the most expensive in our list, this tracker among the favorite devices for professional athletes. In terms of water resistance, the V800 can go up to 30 m.
Swimming, running, or biking is just one of the most common activities that this tracker can handle. Its waterproof design provides swimming metrics for the pool as well open-water activities. The tracker is a great choice for the devoted athlete as well for the enthusiast. In terms of GPS, sports watch features, the V800 is great for people that prefer biking, running or hiking. 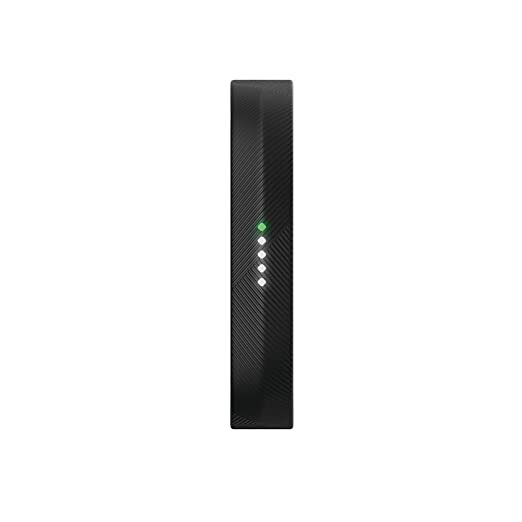 Speed, distance and route measurements along with its ability to measure running cadence from the wrist make it great for keeping track of outdoor training performance. But is one of our favorites tracker since as a difference with other waterproof fitness trackers, this one can measure heart rate in water – thanks to its H7 heart rate sensor. Most customer reviews said that this waterproof fitness watch did everything they expected it to do and more. What to Look For on a Waterproof Tracker? Another thing to have in mind is what is the activity that you wish to track? Are you more interested in checking your data during or after the swimming? In case that you need to keep an eye on your laps while you’re in the pool, you should look for a tracker with a bright screen. Another feature to check for is that the watch is capable of responding to your swipes underwater. If you’re not that concerned with real-time data, consider a screenless alternative like the Flex 2 or Moov Now. Another thing to keep in mind is how swim-centric you want your device to be. In case the pool is your main priority, you’ll want to double check that your tracker supports multiple underwater activities. Other trackers may require you to identify your activity after the fact, and as a result, may not give you the same amount of insight. How to choose a Waterproof Tracker that Suits you Best? The best fitness tracker is going to be the one that not only will motivate you to get more exercises but also help you to live a better and healthy life. But in today’s market, the huge amount of watches makes it only more complicated when you try to make the right desition. Particularly for those who are not sure what features are the most important for a good swimming fitness tracker. And in some cases is also pretty hard to find a smartwatch that has all the features that you are looking for. Furthermore, if you manage to get what you need the price can become a limiting factor. But let’s try to help you to find the best tracker according to your needs. Buyer’s Guide – How Do I Pick The Best Waterproof Fitness Tracker? Choosing the right waterproof tracker isn’t necessarily rocket science, but there are a few factors that you need to check before to make your decision. As a first step, you need to be clear on what you plan to do, when and where you are going to be wearing the tracker and what your daily routine consists of. The best trackers will have at least some basic performance functions like distance measurement, calories consumption counter, stroke count and a stroke rate sensor. With these basic functions, you will be able to understand your performance in your training clearly. In terms of features and having in mind that we are talking about trackers to use underwater is a no-brainer that it has to be waterproof. Both ATM standards and IP waterproof class form your tracker will indicate how well it is protected from the effect of water. ATM is the atmosphere pressure unit that tells you how effective a gadget is in withstanding the pressure until a specific depth. So check that the tracker you choose has at least 1 ATM what indicates that is at least good for 10 meters (390″) of water pressure. The software that is included is another important point to have in mind as well whether you can sync your band with your mobile phone. Furthermore keep in mind that user-friendliness, design and the value of information that a device will provide are also important. Also, have in mind that the watch is going to be comfortable while you are swimming, as well it provides an accurate reading and is easy to use. You have to decide if you would prefer to wear a watch on your arm, an ankle strap or a band around your head. when you use it for workouts and training, the heart monitoring features allow you to gain the most out of your routine or work out as well will helps you to avoid under-training, which will lead you to delayed results and frustration. Equally, it can prevent over-training and resulting injury such as dehydration, fainting, etc. A solid night rest is equally as important as any workout routine or exercise you have. The body needs rest to repair brain cells, muscles, tissue, and overall health and well-being. Choosing a waterproof tracker that comes with the sleep activity monitoring will help you keep track of exactly what your body is doing while you sleep. Be mindful of automatic sleep modes as they may only be functional during manufacturer specified times, as compared to manually setting sleep mode. Most trackers have a built-in alarm clock as well that functions as an alarm clock would. Another feature to have in mind is that your next fitness tracking can support SMS and phone call functions, and even social media can make your exercise, work out, or daily routine more satisfying. While you’re on the treadmill you can respond to important business calls or messages. Some trackers can take remote pictures while you are in the pool, which you can have uploaded to any social media account with just a click. Even if you’re out for a leisurely walk or a jog, you can stay connected to the virtual world. One important feature is that your tracker can track different swim functions. For the more professional and dedicated swimmer, it might serve you better to buy a tracker that might have automatic lap counting capabilities – such as the Moov Now, or a feature like real-time personalized audio coaching, or the ability to track swim metrics in general. Even for the casual or “not-so-serious” pool workout, these features can prove quite handy and useful in getting the most out of your swimming sessions. Like anything else in this world, taking good care of your fitness monitor can mean the difference between its functional use for years to come, or having to replace it within a few weeks of purchase. We’re here to offer you a few basic tips in caring for your activity tracking device that will guarantee its service for years to come. After you use the tracker underwater always rinse your device, especially if you use it on saltwater. Although the device may be waterproof, storing your fitness tracking band while it’s wet or in moisture can lead to potentially destructive results. Saltwater naturally leads to corrosion, so rinsing your tracker with fresh water and towel drying after use is always a great idea. Avoid exposure to heat for extended periods of time. Like most electronic or battery operated devices, extended exposure to heat can lead to the breakdown or degradation of your tracking device’s components. Screens and displays can also suffer damage due to long periods of extreme temperature exposure. OLED and LCD screens can get damaged relatively easily. We understand that mistakes can happen, but avoid dropping your fitness monitor – especially on its face or display. Follow the instruction manuals and manufacturer recommendations to increase the life expectancy of your device. Not all devices, although waterproof, are necessarily approved for diving,.Inthe case of swimming, showering, and other light water exposure, most trackers are good to go but not all are approved for deep water submersion. For non-water activities such as; workouts, cycling, jogging, etc. it’s essential that you clean and maintain the general upkeep of your waterproof fitness tracker. Rubber straps, especially, collect dirt easily, so a general cleaning with a damp cloth is not a bad idea after a rigorous work out session. Remove any dirt, dust, or foreign debris in a timely manner before it becomes stuck to your device. Whatever it is the real motivation that you could have to get a waterproof fitness tracker; whether it’s for workouts, swimming, outdoor activities, or just daily life in general, getting one of the trackers that we mention will provide you with accurate, real-time data on exactly what your body is doing. After an extensive research, we end up with a list of the best waterproof trackers, however, follow our Buyer’s Guide and care tips and we guarantee you will be satisfied and fulfilled with your buy. Maintaining good health is important, tracking and analyzing your daily stress levels, as well monitor your sleep patterns is really important. Getting a good waterproof fitness tracker will guarantee that all of these aspects of your life and health are taking care from sleep to swimming to the bike or trail. So, now is up to you, check for features and get the best waterproof tracker that best suits you.